Custom Count Symbols in Bluebeam. So how is your Bluebeam experience coming along? Are you using the Bottom Panel? What about Spaces for all the QS types out there? Or even small businesses that want to knock out a quote based on areas quick smart? Have you tried using the Count tool? A great feature, but the Out Of The Box (OOTB), Counting tools are simplistic and unless you are planning to use a triangle as a symbol for your Electrical Outlet GPO, then the OOTB symbols just won't cut it. So how do you make a counting tool? It's not hard, but I want to share with you some of the little tricks that I have learnt that help improve their appearance and functionality. If you Google around you can find some information about creating Custom Count Symbols, like here at Bluebeam's Wiki. But I have a Revit background, so I want to completely customise the Symbol appearance and try to get as much Data as I can from it, for Data extraction down the track. I'll make this part quick and short, the steps involved are shown below. Further down, I will expand on these to explain why I do it in this order. Also, note that this short section here can easily be Copied/Pasted onto your Bluebeam Manual for future reference. Create a box around the Symbol with space for a Label to fit centrally inside the box. Using Snap Shot, create the Custom Count “block”. Paste the Snap Shot & add it to your Tool Chest. Right-click the Snap Shot Symbol in your Tool Chest to change to a Count tool. Edit the Custom Count Symbols Appearance. Select edited Custom Symbol and add to Custom Tool Chest. Delete all previous different step versions of the Custom Count. So let's take it slow and I will explain why I have all these steps. There is a lengthy process of making a Custom Count, and so far, I have not seen a way that I can shortcut it. So first, create a Matrix of all the Symbols that you need to make, understand all the different variations required, Data required, and the limitations of Bluebeam. This is not Revit or even Dynamic Blocks in AutoCAD. And finally, I personally like to use Colours to indicate different Symbolic options. Once the guidelines have been established, you can create the Symbol shape from the Markup Tools or even using the SnapShot tool of existing CAD Symbols. From Markup/Shapes, create the desired outline and use White as Fill Colour and Opacity at 100%. My big tip is to use the Highlight feature to cover the existing PDF with the more valuable Count Symbol and keep the Drawing cleaner. Note that you can select the Highlight box in a Custom Count when you're Marking Up so that the Fill Colour will allow background lines to appear. 2. Create a box around the Symbol with space for a Label to fit centrally inside the box. I create a boxed guideline for the next step which is the Snap Shot, the issue here is that when we eventually make the Custom Count Symbol and use the Label option, it will centre itself in the middle of the Symbol. This is why I don’t use Groups, there is no control over the location of the Label. So by making a Guideline, I can set where the Label will be located. It might take a couple of goes to get it right. 3. Using Snap Shot to create the Custom Count “group”. The SnapShot tool is great for making your own little Symbols based on existing Drawing Standards. As pointed out in Step 3, I use it to control the Centroid of the Symbol. My Tip with this step is to turn off Snap to Markup and Content so you can select right up to the edge of the box guideline. 4. Paste the Snap Shot & add it to your Tool Chest. Once you have created a Snap Shot, it will automatically make a copy of Clipboard that you can easily Paste. Then add it to your Tool Chest with the Right Click mouse option. Or you will notice that once you Paste the Symbol it will automatically appear in the Recent Tools section of your Tool Chest, from there you can drag it to another Tool Chest. 5. Right-click the Snap Shot Symbol in your Tool Chest to change to a Count tool. This part is easy, Right click the mouse to open the Create Count option, then select it. Note that this function is not available in the Recent Tools section to Tool Chest. 6. Edit the Custom Count Symbols Appearance. You will need to edit the newly created Custom Count on the PDF page, if you try this while it is still inside the Tool Chest, the Properties will be all greyed out. Now that it's on the PDF, edit the Subject to what the Symbol represents as a Category, try to keep this general because Bluebeam uses Subject information in formulas and very specific Subject information will limit your Subject Filtering in the Bottom Panel. Then edit the label to show TBC (To Be Confirmed), I have used this with Client setups to indicate variations in the Category that the Label indicates and by using TBC, it prompts the user to update the data. You will need to manually edit the Appearance of the Custom Count, just like you would a Cloud + that you want to add to the Tool Chest. Make sure to turn on Show Caption and in Edit options, pick Label. Finally, other adjustments to Text Font, Size, Colour. 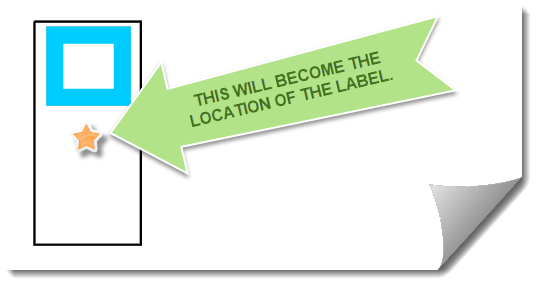 If the Label is not in the right location, then you will need to adjust the extent of the box guide and start again. Yep, start again. 7. Select edited Custom Symbol and add to Custom Tool Chest. 8. Delete all previous different step versions of the Custom Count. Now we have a complete Custom Count, so delete any previous steps of the PDF page and from any of your Tool Chests. Then take it for a test run and as we say in Revit-land, flex the family (Custom Count) and while you are doing this, think of that user that always manages to break things and try to break it yourself. Hopefully, everything works a treat. Jun 5 BiLT ANZ 2018 Conference. Feb 19 Making Model In-Place Elements Parametric.